[eth2] Soleimani/Slipper/Tsui report on Eth2 implementation sparked lots of chat. [eth2] More Justin: “Phase 1 is significantly simpler than both phases 0 and 2. I expect it to come relatively soon after phase 0. Phase 1 can provide scaling by being the data availability layer for L2 execution engines…. The hard part of phase 1 is getting libp2p/gossipsub production-ready.” Parts of phase 1 and 2 are being worked on in parallel with phase 0. [eth2] Rocketpool has a beacon chain simulator they’ll use for a staking pool test, with RPL rewards for testers. If you’re a developer who wants to know how Eth2 will affect your code, ask your question here. A proposed POA sidechain like xDAI for mili-Eth. The mEth chain. Client releases – get ready for the fork! Graph Explorer launches with Dharma, Compound, Uniswap, ENS, Origin, Decentraland, and Livepeer as partners, so devs can explore data on all those projects. Getting started with the Görli testnet. 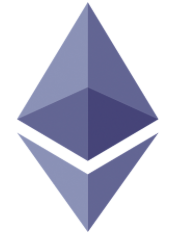 Etherscan now supports Goerli. Groundhog Network: subscription crypto payments for merchants, who can also convert to fiat. Upgradeability is a Bug. This used to be a more common theme of debate. ZCash found a cryptographic vulnerability, kept it secret for almost a year, fixed it with Sapling, and now discloses it. No one thinks an exploitation likely occurred, as only ~12 people ever had access to the MPC transcript necessary to exploit. Despite some reports, EF hasn’t decided to spend 15m on VDFs. It’s half that, under discussion and not an imminent decision. So far EF has funded five figure amounts for VDF researchers. In Norway, Denmark, and Sweden, Opera tests letting its users buy Eth instantly in the browser through Swedish exchange Safello. Maker to double the stability fee to 1%, pending Feb 12 vote. Also, Dai by the numbers. Melonport M1 conf day 2. Day 1 blocked due to copyright. Quadriga was everywhere in the news this week. The founder died, some think he faked his death, they’re behind on payments, and apparently they never had cold wallets anyway? I have no idea, but it’s a reminder that you should take charge of your cryptoassets by having them on private keys that you control. Facebook has been paying teens to spy on their every mobile move. Suspended from Twitter: I was wrongfully suspended from Twitter for part of the week, which definitely impacts newsletter quality. Sorry! The best part is that they unbanned me and apologized for wrongfully banning me, only to wrongfully ban me again 30 minutes later. You can’t make this up.